Why did the Wizards fade down the stretch last season and finish 10-15 after the All-Star break on their way to another first-round exit? Part of it was an injury to John Wall, part of it was their questionable depth, but an important reason was that they loathed each other. Exhibit A: Marcin Gortat’s unsubtle dig at Wall. Anyway, Gortat is gone and has been replaced by everyone’s favorite NBA punching bag, Austin Rivers. 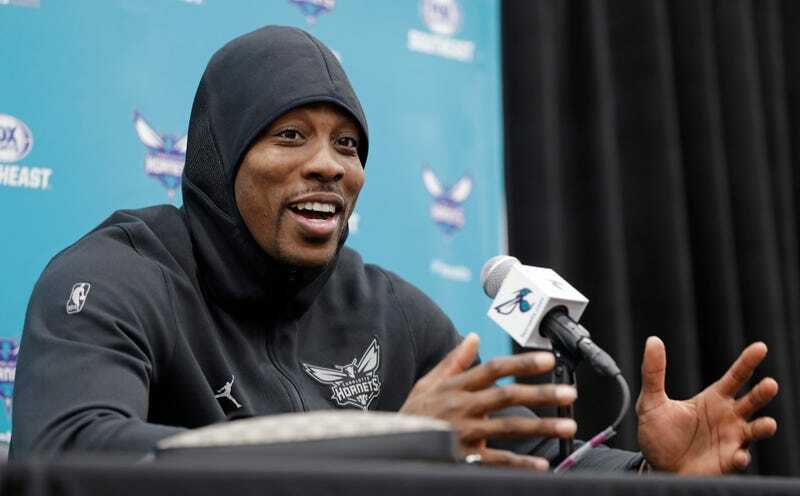 So the Wizards decided to replace Gortat with noted locker room destroyer Dwight Howard. Okay! Howard was productive on the court for the Hornets last year, but maybe not so popular off the court. He’ll either be a bargain at $5.3 million or he’ll hasten the seemingly inevitable implosion of the Wall-Bradley Beal-led Wizards. Either way, he’s only one team away (Miami) from playing for every Southeast Division team.